Once Windows 7 Beta was released, I was really keen to try the multi-touch features since I am currently working on that research area. However I do not want to install Windows 7 to my laptop replacing the Ubuntu 9.04 that I like very much or to dual-boot due to complexity and limited hard disk space. 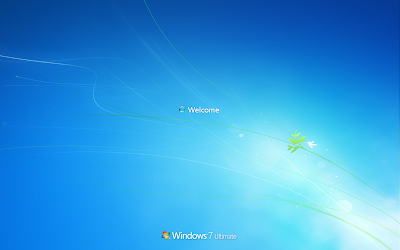 I did try Windows 7 in Virtual Box but is quite disappointed with the absence of 3D accelerations. Thanks to a-Fung.net, I have managed to install Windows 7 RC into a USB hard disk and boot from there. Since the installation of Windows 7 does not support USB hard disk, it has to be done in VMWare. I followed most of the steps in a-Fung.net except the one that is not applicable in Ubuntu. * The Windows Preinstalled Environment 2.0 disk is not required. Follow all the steps except just one minor part of getting the USB hard disk device location in "Select a Physical Disk". 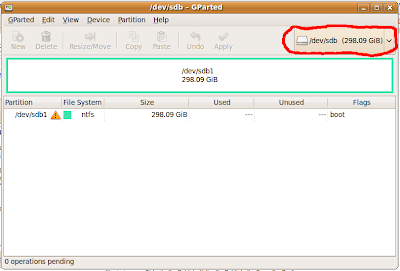 In Ubuntu, I used GParted Partition Editor to check and mine is "/dev/sdb". Be careful not to select the existing Ubuntu partition. Skip the beginning part about "diskpart" and in Ubuntu, just unmount the USB hard disk. Skip the step "For Windows Vista only" because "USBSTOR.SYS" is already in the required location in Windows 7. 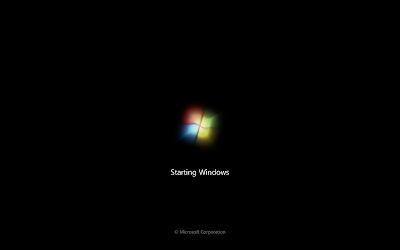 Follow other steps until the optional step of "Boot up Windows Preinstalled Environment 2.0 disk". Instead, I just shut down the virtual machine after "usb.inf", "usbport.inf" and "usbstor.inf" have been modified. Then I mounted the USB hard disk in Ubuntu, browsed to the file "usbstor.inf" which is for me is at "/media/disk/Windows/System32/DriverStore/FileRepository/usbstor.inf_x86_neutral_841aa9d0788188ba" and modified the file directly with gedit. Follow all steps and beware of the red colour warning of merging the "usb-boot-new-install.reg" to registry, if not you will get blue screen at the next boot. To fix it, refer to Part 6. a-Fung.net told us that we need to merge the "usb-boot-new-install.reg" into registry each time the disk is booted in a new computer but I experienced once the blue screen just by installing USB bluetooth. So to be safe, I suggest this step for every Windows 7 session that you have your hardware modified. Here are 2 screen shots and I really love the loading screen.